To prevent mental illness in American soldiers, bring them home. As the longest war in American history winds to an end—at least officially—a newly released study says US troops in Afghanistan last year reported higher morale and fewer mental health problems than they did during the height of the surge. Researchers surveyed 888 soldiers for the Army study, released Monday. Soldiers reported “significantly” fewer psychological problems and suicidal thoughts than in studies from 2010 through 2012, some of the war’s bloodiest years. Soldiers reporting psychological problems such as PTSD, depression and anxiety dropped from 17.3 percent in 2010 to 10 percent in 2013. Also, fewer soldiers reported having suicidal thoughts, from 13 percent in 2010 to 8.5 percent last year. As expected, the mental health improvement coincided with fewer “combat experiences” among troops, defined as IED explosions, shooting at or killing a combatant or having a unit member die. Less than half of surveyed soldiers reported firing their weapons in 2013, down from 70.1 percent in 2010. One in five soldiers reported killing a combatant, compared with 37.7 percent in 2010. The study also shows that soldiers with more deployments are at a higher risk for mental health problems. A survey of non-commissioned officers found that 14.6 percent with three or more deployments screened positive for PTSD, as opposed to 8.3 of NCOs on their second deployment and 5.5 percent on their first. 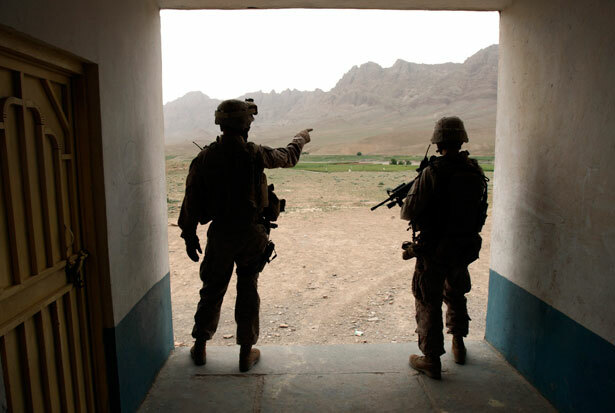 The results come during an uncertain time for the future of US troops in Afghanistan. A White House–backed security agreement, currently stalled in negotiations with Afghan President Hamid Karzai, could extend US military presence in the country through 2024. That deal would allow American troops (reportedly around 8,000) to train Afghan forces, and even continue some combat operations. Roughly 34,000 American soldiers remain in Afghanistan today. Eight have died this year.